The open access movement is the current hot-button issue polarizing the professional and scholarly publishing communities. On one hand, scientists and researchers argue that information published based on research that was funded by taxpayers should be readily available to the public. On the other hand, commercial publishing houses who profit by making the information available through subscription-funded journals and services argue that there is a cost to produce the information and therefore justify their business models. Perceptions and hype aside, what impact is open access really having on the business of professional and scholarly publishing? 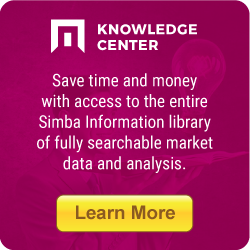 Open Access: Market Challenges and Opportunities -- a new Simba Information Business Brief -- takes a hard look at all sides of the issue to boil down the most critical information you need to keep you one step ahead of your competitors. Can STM publishers benefit from an open access business model? How has government influence affected publisher adoption of open access in the U.S., U.K. and Europe? What impact are shrinking library budgets having on traditional journal subscription revenue? Has the launch of PubMed Central by The National Institutes of Health (NIH) changed open access in the U.S.?